I'm super excited about today's post. 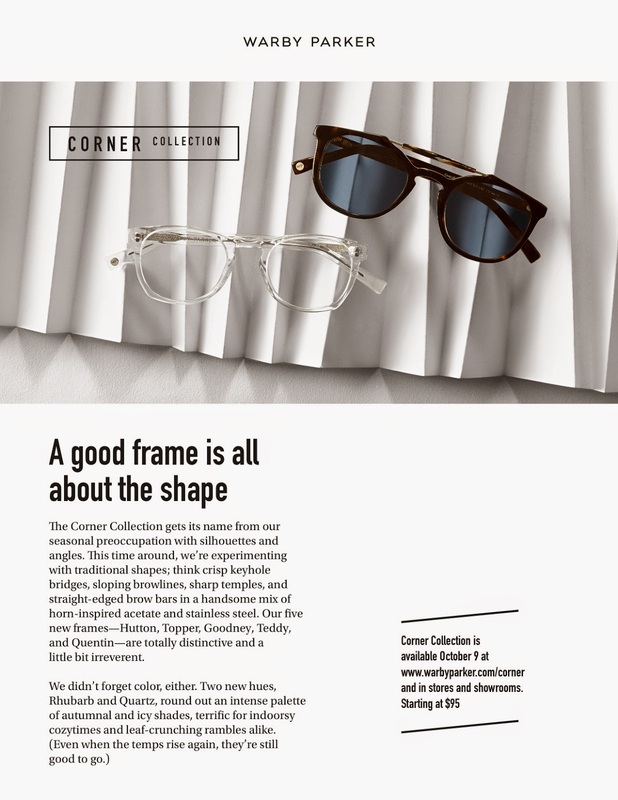 I'm helping the super trendy, Warby Parker, celebrate the launch of their brand spanking new Corner Collection! 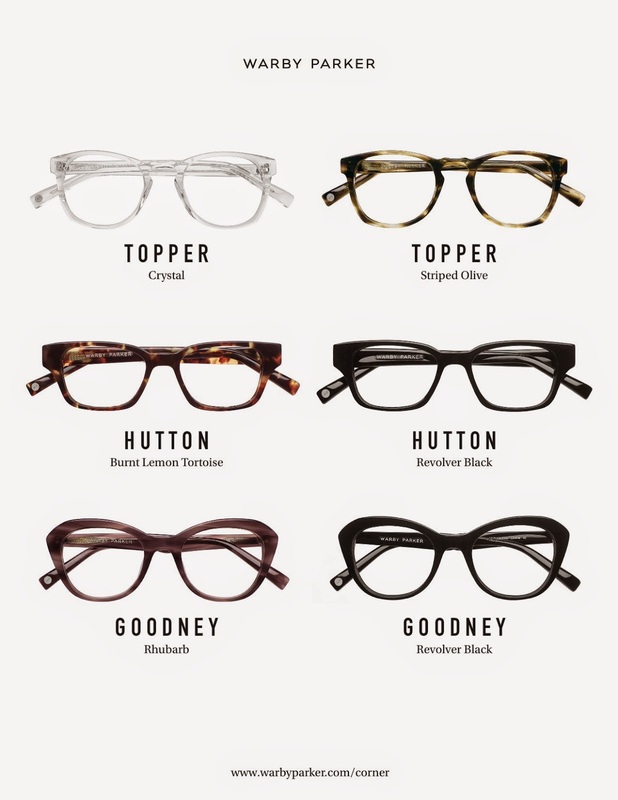 If you aren't familiar with Warby Parker, here's a little scoop about them. 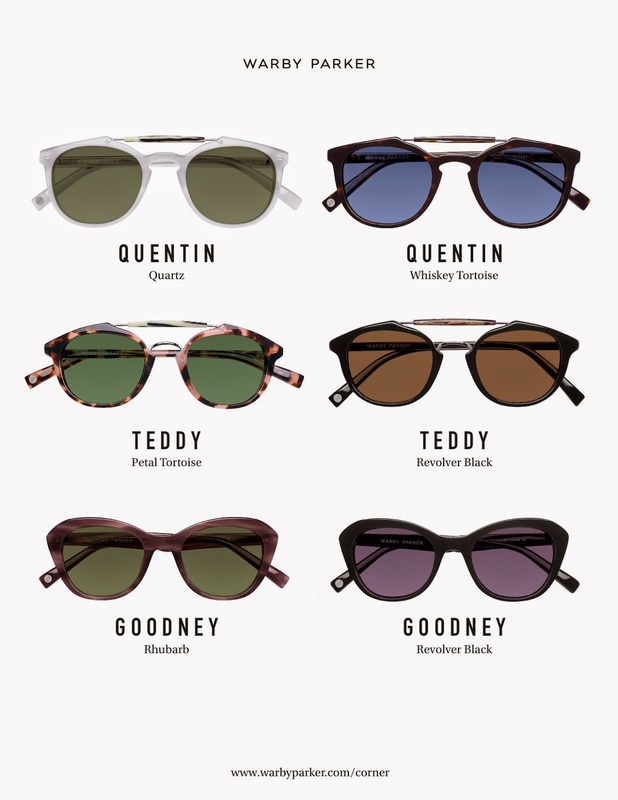 The company is all about offering well designed, well made eyewear at an affordable price, which they've done by cutting out the middle man. They don't only help us stay fashionable with their stunning pieces, but they are devoted to helping those less fortunate by donating a pair of glasses for every pair sold. Yes. Go ahead and dress up those gorgeous eyes of yours. Though I don't require the use of prescription glasses, a great pair of glasses still catches by eye. They definitely have a place in the fashion department. I'm constantly drawn in by the lines and finish. My fav finish: tortoise shell. A classic look (which I love) and it can be easily paired with almost anything. 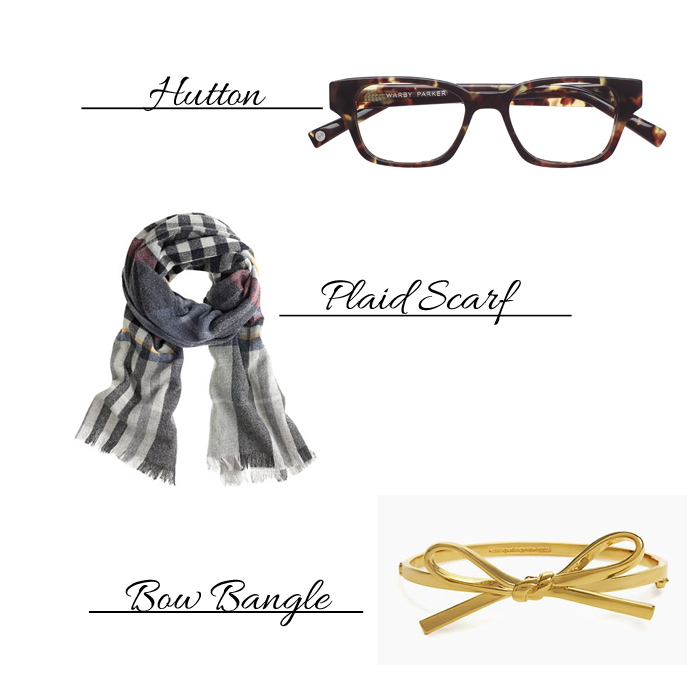 I'm loving the idea of Hutton paired with a gorgeous plaid scarf and a touch of gold thanks to this adorable Kate Spade bangle. Rock a topknot (or beachwaves, or a side-braid (messy side-braid of course)) and throw on your favourite pair of distressed jeans to finish off the look! I love the hint of cat eye shape that the Goodney has as well, shown below in both Rhubarb and Revolver black. Also, how awesome is the Crystal frame option...top left? Right?! And of course, one can't go without a fabulous pair of sunglasses. My husband is a huge fan of sunglasses. His love for sunglasses is equivalent to my love for pillows and home decor accessories! ha! Warby Parker's got you covered in that department as well. Love the aviator look with a twist and my eyes keep going back to the gorgeous shape of Goodney. I can't help but to think of Jackie Onassis whenever I see them. You know? She wore sunglasses so unbelievably well and paired each pair she owned perfectly with her outfits. Such an icon. The Corner Collection is available now and can be found here. Which pair(s) are you loving? Please know that I didn't receive any sponsorship for this post. 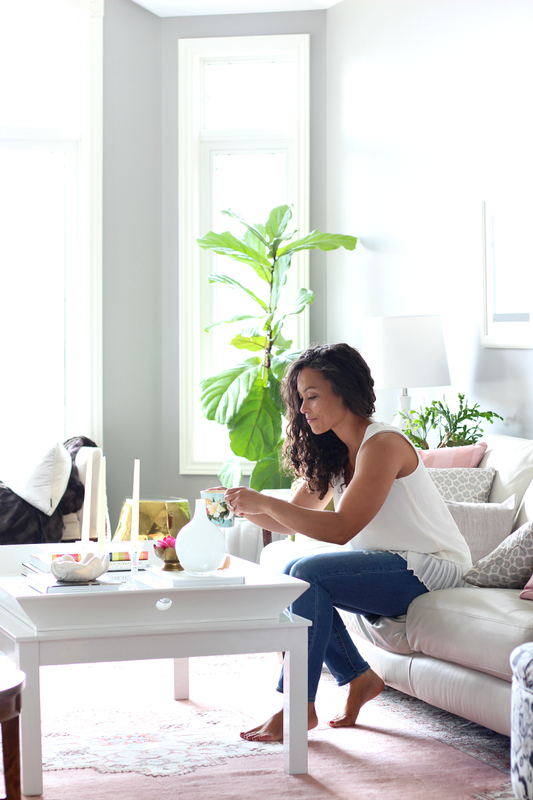 I am fond of the company, their story and their mission, so I am more than happy to spread the word about their products.